Last Saturday, we went to see La Boheme, a favorite of mine. And, obviously, for many others. It was played in two theatres. We were closer than I care to be, but in a very nice reclining chair. Afterward, we got seafood. Win got shrimp and I had crab cakes which pretty good, but not as good as mine. They came with a terrible sauce that I took as an insult to the crab. The waiter saw me remove the sauce to the other side of the table. I told him exactly what I thought of it and to bring some Worcestershire. I like a bit. The sweet potato was good. The green beans were wallowing in butter. On my way home, I stopped at Wegman’s. They have the Silk yogurt that I can eat. I bought Sweetums a loaf of crusty bread that he loves and two bags of my favorite oranges. I wish they were closer. I wouldn’t have to go anywhere else for food. I also stopped at Cloverhill. I needed another ball of red yarn and I wanted to look around. Even though it has been through four owners, it has remained a great shop. 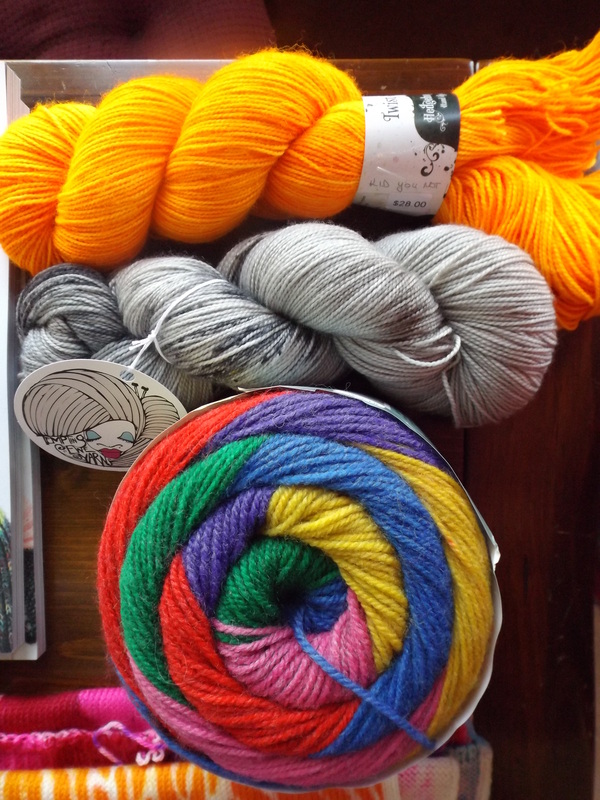 And, of course, I bought more yarn. Socks for me and Win. A sweater for my soon-to-be great-nephew. This entry was posted on February 28, 2018 at 7:00 pm and is filed under Knitting. You can follow any responses to this entry through the RSS 2.0 feed. Both comments and pings are currently closed.